Khalid Tafish is Palestinian Legislative Council (PLC) member in Bethlehem. In 1986, he graduated with a BA in Islamic studies. Before becoming PLC member, he was imam for Omar Ibn Al-Khattab mosque in Bethlehem for 18 years. He is now 45 years old, married and a father of seven children. He was kidnapped by the Israeli forces seven times in the period between 1988 and 2010. He was elected as a member of the PLC in the 2006 elections while being imprisoned by Israel. 1. Could you explain the circumstances in which you were arrested between 1988 and this year and what charges were brought against you? The first time I was detained was in February 1988 for just one month, and the second time in 1990 for six months. The third time, I was expelled to southern Lebanon for one year, between 1992-93, with 420 Palestinians from Hamas and Islamic Jihad. Then, the fourth time I was detained in July 1995 for four months, the fifth time I was sentenced to serve four years and half from 2002 up through to 2006, and during this time in prison I was elected as PLC member. The sixth time, I was arrested by the Israeli Occupation Forces was on 12th November 2007 and was sentenced to six-month administrative detention. Later, the sentence was reduced to four months, and I was finally released on March 17th 2008. The last time, I was also put in administrative detention and that was for one year, between 2009 and earlier this year. As for the charges…all the times, it was administrative detention and he was considered to be ‘very dangerous in the Bethlehem territory’ then from 2002 to 2006 I was sentenced for just being ‘leader of Hamas organization’. 2. What changed since your last release on March 17th , after your time spent in detention? In my opinion, since we are under the Occupation, it’s something obvious to have prisoners. Because nobody can accept the Occupation and we can resist that, for us it’s OK to be sent to jail. The Israeli occupation tries to break the well-being of Palestinian people but you know, this policy has failed…Israel’s goal is to put pressure on Hamas to release Israeli soldier Gilad Shalit, currently held captive in the Gaza Strip, but that lost attention after the failure of the prisoner swap between Israelis and Palestinians. Israel had captured more than 40 PLC members from the West Bank, most of them between 2006 and this year, along with 10 ministers in exchange for Shalit, but until now he’s still in Gaza, he has not been released, so this policy has failed. 3. In a pre-election poll of December 2005, you were one of the two candidates from Hamas, within the Bethlehem district, with good chances of winning in the Palestinian Legislative Council. Next you were elected while in prison. How do you comment your victory and what do you think made the success of Hamas possible at the January 2006 elections? First, I’ll talk about myself. People trust us, Muslims and Christians, and that has been proved through my way of addressing to people, while I used to give sermons at the most famous mosque of Bethlehem, and also because I have many people, of any religion, attending all my events. The electoral victory of Hamas was possible because Hamas has proved the truth of its resistance to the Occupation, because it stands against Oslo deals. The idea of peace that Palestinian officials now go on about has done nothing to the Palestinian people, that was also proven during the meeting between Arafat and Barak in 2000 which failed, of course. We have obtained nothing from our land up to now. Then, until the 2nd Intifada, it also proved to be the wrong way of handling peace negotiations. After that, Israel took control over Palestinian cities and towns in the West Bank as well as in the Gaza Strip. 4. Do you see the possibility to form a national unity government in Palestine and what message would you address to Fateh to that effect? Recently, there have been reconciliation meetings between Fateh and Hamas…The two factions agreed on many issues, unfortunately there is just one point that people of Fateh objected to: the ‘security issue’…The reason division is still ongoing is in the fact that Fateh is saying the security system in the West Bank is good and the problem now is just security in the Gaza Strip, which is not acceptable for Hamas. We say that all the security services in the West Bank and Gaza must be re-structured for all the Palestinians, not just for Fateh or Hamas. The people, the lands are free but the policy applying to the security system has to be independent from this or that party…There is nothing impossible in having a unity government, so if we have good talks about the security issue maybe we will form a united government between Fateh and Hamas in the West Bank. Our message to the brothers in Fateh is: we are all under Israeli occupation…because of that, we have to overcome the problems dividing us and move on from the problems that made us fight against each other in the past, and we have to reach a united national government to face the Occupation in the West Bank and the Gaza Strip. Everyone has seen that Israel has been refusing peace to every extreme point, and it has not supported recognizing a Palestinian government or state. 5. What could be the role played by an alternative political movement, if there was one with any authority and influence today, in ‘reconciling’ the relationships between Fateh and Hamas and resume national dialogue? In the whole world, elections are run because there is democracy…the party or the candidates who got votes from the people form governments and rule in any state worldwide, not in Palestine of course. Because of that, in my opinion, an alternative or third party cannot succeed without Fateh and Hamas…We have Salam Fayyad in the West Bank, we consider him a ‘third way’, the alternative now, he has only 2 members out of 132 members in the PLC whereas Hamas holds 80 in the Council obtaining 60% of the votes…So, based on democracy, no party should let the other party take its votes whilst it got a large number of votes through elections…If we hold elections and a third party wins, we respect the election outcome…but before we talk about elections, we have to make our life democratic. But until now, more than 1.000 people from our brothers are in the PA jails in the West Bank. And we are talking about elections, what elections? Under divisions between Hamas and Fateh it will be, in my opinion, very difficult to have elections…Democracy is not just about voting. First of all, you have people who have the right to security and will not be punished for their votes. We, in the West Bank, don’t have that security. 6. Ismail Haniyeh recently reinstated that Hamas supports a sovereign Palestinian state within the 1967 borders. How do you visualize, at present, a state entity sitting in the West Bank and Gaza and in which political terms? When we think of a Palestinian state, we mean a state that has real borders, has sovereignty on air, water, land, and where people live in peace inside their state…Over the world, there are no people living under occupation except for the Palestinians, the Occupation has to disappear from our land. The form of this state that you’re asking about, the Palestinian people have to decide it by elections. And what was declared by Mr Haniyeh is not new, nor approving the borders of 1967 is saying something new because Sheikh Ahmed Yassin already asserted that in 1996, and also Hamas approved that recently. 7. What would you do differently from Prime Minister Haniyeh with regard to the current peace negotiations, and what is the strategy of Hamas? […] We , as a movement, are not against negotiations but not any negotiations…If we can liberate our land through these negotiations, establish our independent state, and take the Occupation out, that’s the way we want. But we’ve been talking about negotiations for 18 years and what we got as a result is a big zero, so what is the result of these ‘peace talks’? So the negotiations must have a set goal and time frame… Oslo deal said we would have a Palestinian independent state after just 5 years, since the Oslo agreement was in 1993, we should have had an independent Palestinian state in 1998, 12 years ago…so we got nothing from the negotiations. Mahmoud Abbas is negotiating with Israel, and my brother Haniyya declared on December 1st that Hamas movement will accept any referendum under which the Palestinian people will make the decision..
8. How do you perceive the option of unilateral declaration of a Palestinian independent state from Hamas’ viewpoint? We are not against a Palestinian independent state, in 2006 we had an agreement with all other parties regarding the creation of a Palestinian state on the borders of 1967. We in Hamas consider that as a minimum condition…we will never accept less than an independent state on the 67 borders. Also, if Israel said: we give you borders an independent state on 67 borders but without Jerusalem, that’s not acceptable too…also, we are against land swaps. And we think it is not necessary that all Palestinian parties recognize the state of Israel, the PLO expressed its recognition. In Israel, there are parties that don’t recognize the Palestinians, for example Lieberman has still not recognized the rights of the Palestinians and he’s in the Israeli government. Therefore, we will not recognize Israel or some parties in Israel have to recognise our independent state. The recognition of Israel by the PLO has brought a zero result so Hamas will not give another recognition. First, we need to see our independent state established on our Palestinian land, afterwards we can have discussions about mutual recognitions between Israel and Palestinians. 9. From Hamas’ position, do you regard the use of weapons as an acceptable part of the struggle against the Israeli occupation in the current context? We know that Hamas now has a ‘government’ in the Gaza Strip, and you can see that the borders between Israel and Gaza are now quite safe. And we have been observing that since after the 2008-09 war on Gaza, we haven’t heard anything between Hamas and Israel…so I think using weapons in our current situation is not useful because now we have a quiet environment in the border area. Using weapons for resistance is acceptable but not always and at any time, because resistance is not just about making use of weapons. For Hamas the use of weapons is in order to counter-attack Israel’s aggression against the Gaza Strip. 10. Do you perceive the rise of the extremist group of Jihadi Salafis as an emerging threat to Hamas ruling in Gaza? 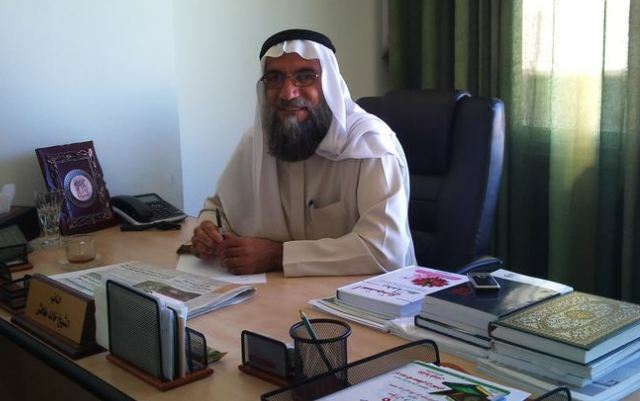 There are no Islamic extremist Salafis in the Gaza Strip, as you think, but the problem now is the Jihadi Salafis are more a threat in the West Bank than in Gaza. Because of the what the PA is doing to these Islamic people there, perhaps their group will emerge in the West Bank in the future…the Jihadi Salafis may be present in Gaza as individuals, some people with certain views but not as a group or a strong organization in the Strip. 11. In general, do you foresee an increasing ultra-conservative movement of Islamic militants in Gaza? by Ismail Haniya…we just have two militant groups in the Gaza Strip: Hamas and Islamic Jihad. If we’re referring to weapons, they were already possessed in Gaza while Israel was occupying the coastal strip. Also, we have smuggling of weapons into Gaza due to its vicinity to the Sinai and Egypt. In my opinion, the use of weapons is something stable in the Strip and it will not affect anything. Individuals have now weapons to defend themselves from any attack, not just from Israel of course, and that’s well known given the last actions between Fateh and Hamas taking place in Gaza. When we especially talk about Israeli militants, we know they are equipped with the strongest military technology in the Middle East. 12. Would a growing presence of small armed groups or individuals impact on the peace process and the formation of a Palestinian state? 13. Earlier this month, Hamas authorities closed the Sharek Youth Forum, an NGO working for children and youth. How do you comment on the closure of the youth centre as well as on similar instances of repression of important development/human rights activities in the Gaza Strip? 14. What’s your opinion on the coexistence of liberal and very conservative values in the daily life of people of Gaza? There’s no incompatibility, Hamas accepts that. In fact, you can see now operating in Gaza institutes for Fateh and PFLP. We believe there have to be more. For example, in early December there was a very big festival for the Popular Front in Gaza, and before then there was one for Islamic Jihad. On the contrary, in the West Bank they only allow Fateh to have festivals. So we are not against any institutes [or movements] either conservative or liberal, as long as they are driven to help all people. 15. On the anniversary of the founding of Hamas, it was reported that leader Mahmoud al-Zahar set fire to an Israeli flag encouraging to form a united front in an armed struggle to liberate all historic Palestine. His statement contradict with statements made the week before by Prime Minister Haniyya who said Hamas would respect the results of a referendum on the creation of a Palestinian state in the West Bank and Gaza only. Now, if there is not a united view amongst members of Hamas to that regard, what are the current discussions within the movement? There is no contradiction between the two statements because historic Palestine is the whole land of Palestine for every Palestinian, but now the provision for Hamas is to have a Palestinian state on the 1967 borders…In my opinion, Zahar’s statement is to warn Israeli politicians to say: if you are not going to accept a Palestinian state on the borders of 1967, the Palestinian people will liberate all their and not stop at the borders. So we believe the solution of an independent state on the 67 borders is for the benefit of the Israelis themselves considering that, as you said, Israel took from us 78% of the historic Palestinian land…For us in Hamas, we will not fight for the whole land now but we can make a truce with Israel for 10-15 years or a longer period and liberate all Palestinian lands after that, but we don’t know when that will be… Now we are saying that we are with the solution of an independent state on the 67 borders, and all other Palestinian movements and organizations are with it. So why can’t the international community force Israel to accept this solution?…We all Palestinians believe that historic Palestine is our land, but some of us like Fateh say that it’s enough to take our lands within the 67 borders and can give the remaining to Israelis…We can’t say that the remainder of the land is for Israel, this is the difference between us and the PLO and other movements in Palestine. 16. There’s a higher percentage of female students in the Palestinian universities in Gaza, employment of women has improved, areas of work for women in Gaza include now the fields of education, health, as well as media, resistance and politics. What do you think are the major challenges currently faced by women in the Gaza Strip in their participation to political and social life? We, as an Islamic movement, have nothing against women in taking part to any public space. From a religious point of view, we don’t object to the work of women in any part of life, politically or socially, and we have a very respectful position for them in our life, as Muslims. I think today, the big challenge for women is still the Occupation, either in Gaza or the West Bank. The second challenge relates to customs and traditions as Palestinians/Arabs…If for example, a woman gets elected in the municipalities and legislative councils, she can succeed only by ‘quota’, that is by law and not by standard election. At the last elections, they assigned a 20% quota to women from any party because, without the quota, women can’t get elected in our society unfortunately. The principle of the quota is not democratic because women may obtain more than 20%, and it’s a problem that comes from tradition, not from religion. So I think this is a challenge for the women because we have to get rid of the quota, women have to be elected according to their work and achievements…In addition, women have to carry many responsibilities like education, they have to look after their children, including responsibilities in the house, and men can’t look after their children in our tradition. Looking after children and new generations is something very important. We have a saying that women are half of the society, I say that women are all of the society because they look after half of it and they are the remainder too. The woman in her house is certainly a queen. Other than that, we have a comprehensive stream acknowledging women’s position and giving them work. And we also implement the same comprehensive stream in our movement and try to implement that in the society too so that the woman can play a role in this society exactly like a man. Also, we have a very compact and strong family here which you cannot find in the West. I am not saying there are no challenges, but the challenges are too small to be taken into consideration.